Project: One of our growing number of real estate sites. This particular one is for a rental house on cape cod. We tried to give a sense of the colors of the dunes and ocean in the color palate. 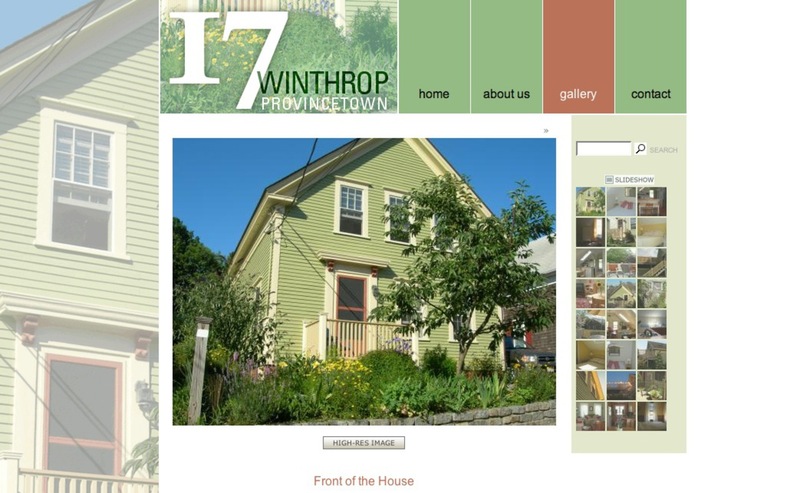 Summary: This website was designed to help promote a rental property on Cape Cod, allowing potential renters to view pictures of the property, look at available dates and rates at which the house was being rented for.